Summer is the perfect time for Test Prep. If your child is going into 10th, 11th or 12th grade, summer test prep can greatly improve a student’s comfort level and test scores. 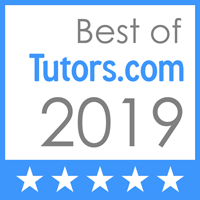 We will recommend the best test prep books and teach students general and specific test taking strategies as well as target specific concepts that they are struggling with in the comfort of your own home. Students will take practice tests on their own time so the time with the tutor can be used most effectively. Don’t wait! Inquire about SAT and ACT prep now. Preferred tutors will fill up quickly.